A beloved spice around the world, black pepper provides bold, spicy and clove-like flavors to any savory dish. 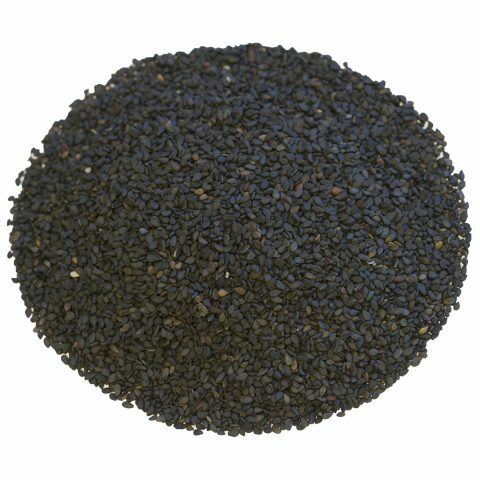 One of the world’s most versatile spices, black pepper is a must-have spice in the kitchen. Cracked black peppercorns provide some of the freshest pepper flavor you can find. 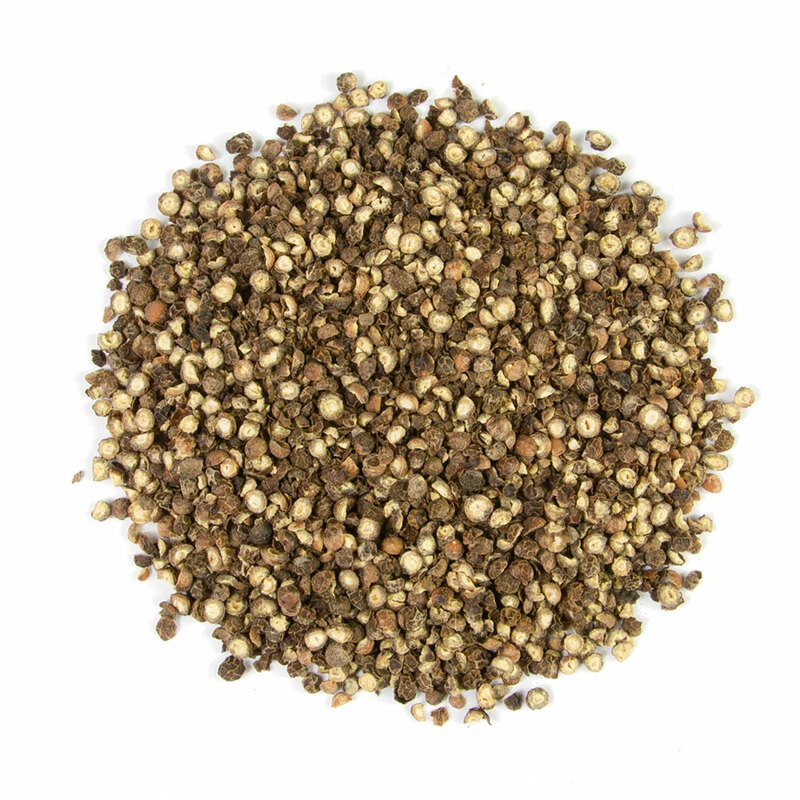 Cracked pepper also provides a robust texture, which is why it’s popular in dry rubs. Our black peppercorns originate in Malabar, a region of Indian known for producing some of the boldest and most flavorful peppercorns in the world. Malabar cracked black pepper also gives off subtle notes of berry, raisin and citrus. Cracked peppercorns offer a stronger flavor, compared to ground pepper, and it infuses over longer periods. Therefore, cracked peppercorns provide a richer, more complex flavor. 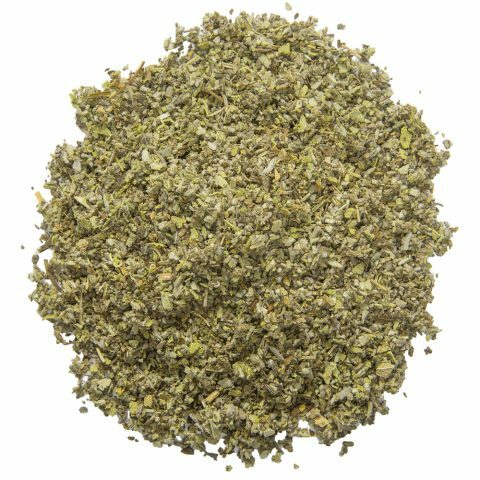 Dry rubs – Paired with beef or pork, fresh cracked peppercorn helps to draw out the natural savory flavors of meat. A black pepper rubbed steak has a heightened natural heat, as well as a hint of peppery heat. Soups and Stews – Cracked pepper gives off heat and spiciness in soups and stews. Yet, pepper is a volatile spice, and does lose flavor the longer its cooked. Adding cracked black pepper when finishing a dish will provide the boldest flavor. The pepper plant is known as Piper nigrum, and it thrives in tropical, humid conditions. It’s a climbing shrub and a perennial. In India, pepper farmers use traditional bamboo trellises in growing, which provide support for the climbing vines. This is important as the plants can get quite tall, growing up to 15 feet in height. The peppercorn is the fruit of the Piper nigrum plant. When ripe, the peppercorn berry is green and it grows in large bunches that look similar to bunches of grapes. Once harvested, the peppercorn berries are cooked, with reduces the natural starch, and are dried in traditional kilns or sun-dried. In India, sun drying continues to be the preferred method. Cooked peppercorns are spread on large mesh screens, and set out for up to a week. Once dried, growers sift the peppercorns and grade them, giving the Grade A designation to only the larger, fuller flavored peppercorns. The black pepper plant is native to southern Indian, and it has been used in cooking and in traditional medicines for centuries. Originally, pepper was known as the “King of Spices,” and in ancient times, it was worth as much as gold. In fact, pepper was the spice that sparked the global spice trade, and Southern Indian’s pepper growing regions became all important ports on the Spice Route. Even today, Kerala and Malabar in India continue to be important pepper growing hubs. King Louis XVI of France may be the most significant reason pepper has been popularized around the world. In the 17th century, the king prefer salt and pepper to season his meals. And subsequently, the yin and yang of spices became popular in kitchens around the world. Had Louis the Great preferred tamarind, we might have tamarind shakers on our tables today. Burma Spice sources our black pepper from Kerala, India. One of the world’s most signficiant and well-known black pepper growing regions, Kerala produces some of the most flavorful pepper in the world. Kerala’s unique tropical coastal climate provides ideal growing conditions for pepper. At the end of the growing season, our farmers grade the black peppercorns. The largest peppercorns – which contain the most flavor and essential oils – receive the top grades. So-called Premium Grade Malabar black pepper provides a hickory and smoky taste that’s bold and pungent. We buy whole peppercorns in bulk. And we crack and hand package them in our spice shop in Florida.